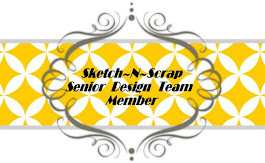 Scrapbooking Layouts, Cards, Project Life. All scrappy happiness here. This week's Little Red Wagon Challenge #388 is hosted by Heather and she wanted us to use Easter eggs or any other eggs for this "Egg-cellent" challenge! I decided to be a a little different and not go with the Easter eggs but with regular eggs that you would bake/cook with! 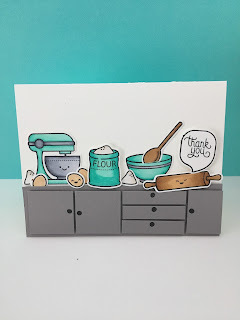 I have seen some cute baking scenes by Nichol Spohr and Kelly Marie (Lawn Fawn) and this is my take on the kitchen baking scene. This is fabulous!! I love the grey and teal combination! The cupboards and drawers look AMAZING too!! Love it!! Mandy, this is a most adorable scene on this card and such a great use of eggs for the challenge. Hugs, my friend.